Tonight, Chicago PD season 6 episode 9, otherwise known as the final episode before the winter hiatus, offered up some brutal contrast to the premiere earlier this fall. Remember Antonio, the by-the-book cop who refused to even bend protocol slightly? Well, that man seems to now be more or less gone. In his place is someone who is off the rails, down the hole, and may be done as a cop for good following that final scene. New Chicago PD video! – Be sure to get some more insight on the mid-season finale in our latest video below! Also, remember that you can subscribe to CarterMatt on YouTube for some other news and be sure to check out our One Chicago playlist. Before getting to the end of the episode though, let’s backtrack to how we got there. After Antonio’s doctor refused to give him a proper refill on oxycontin for his shoulder (which is apparently back to being in good health), Antonio found himself in a position where he needed a new supply. With that, he took to the streets, but ironically at the same time in which Intelligence was making a bust. He was caught at the scene of the crime, but at first tried to dismiss it as him following a tip that he got on his own. The truth eventually came out, but not before the unit brought in one of the dealers — a guy who Antonio had a relationship already. This complicated the investigation given that Antonio wanted to do everything that he could to keep the guy close and keep him from being charged — when Voight learned the truth about everything going on, he even wanted that for Antonio. That’s why he tried to go to Brennan in hopes of letting the guy go, but she was relentless that the dealer needed to be prosecuted. After all, she was a part of the election-year political narrative that was spreading throughout the entire city of Chicago. Well, this is where things start to go into overdrive. Antonio’s daughter Eva ends up being kidnapped as retaliation for the dealer’s arrest, though by someone who was acting rogue and was incredibly dangerous. We don’t think he cared about the dealer so much as the inaccessibility of the product and that’s why he was so willing to hold Eva for as long as he could — until he got what he wanted. Intelligence was able to eventually track the guy down, but here is when things went from bad to worse. Antonio, even in the midst of the investigation, was unable to get clean. Yet, he was doing police-work and trying to cover his tracks. That all went to pot when the guy started boasting about assaulting Eva after they confronted him and Antonio effectively knocked the guy off the second story to his death. Antonio, the good-natured cop, is now a killer. He killed a despicable person, but he’s still a killer nonetheless and his path is forever changed. He was also using and that comes back on Voight, as many things often do. He, Ruzek, and Antonio were in the midst of the confrontation before Antonio charged at him; these three men are now left in a spot where they have to figure out if there’s a way to clean this up or if Antonio is screwed once and for all. He’s going to need a lot of help getting clean and staying clean, but also cleaning up this mess. It was a small update amidst the chaos, but we did learn tonight that Ruzek is at least casually thinking about his future with Hailey … even though she is clearly not thinking the same way right now. Is she worried about a commitment, or is she worried about one with Adam specifically? That’s a key question that has to be worked out in the second half of the season. Due to the nature of the case tonight, there wasn’t a lot of time to really deal with anything more here. 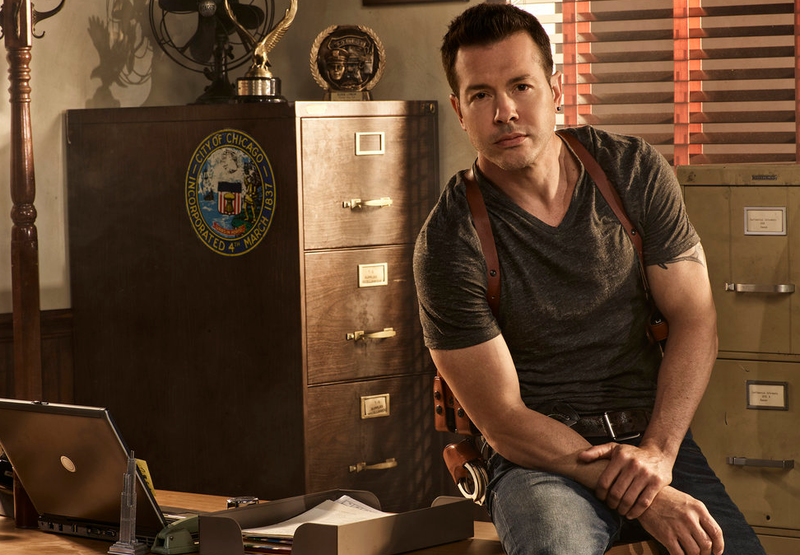 A fantastic performance by Jon Seda leads the way in this finale, which showed just how far opioid addiction can hurt a man — even an excellent cop like Antonio. He has to figure out now how to recover from this and if he even can, but kudos to the writers for coming up with a compelling cliffhanger in which one of our main characters, in an effort to save his child, went too far in taking down a suspect. Add to that some of the drug use and you’ve got a recipe for disaster and something that will take a miracle to go away.